to your website. Our IDX works on any website. Already have an existing real estate website, but it doesn’t do a good job with MLS® listings and search? 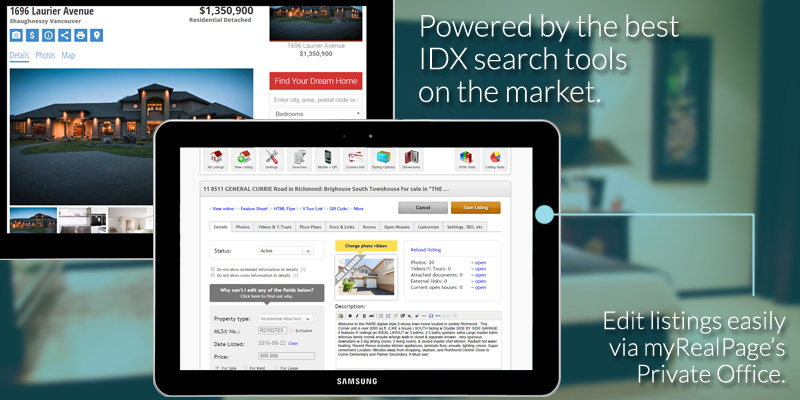 Let myRealPage give you the boost you need with our easy-to-use IDX for real estate and Listings Only Solution. Just set it up once, and start experiencing the convenience of having the best MLS® search tools on your website. 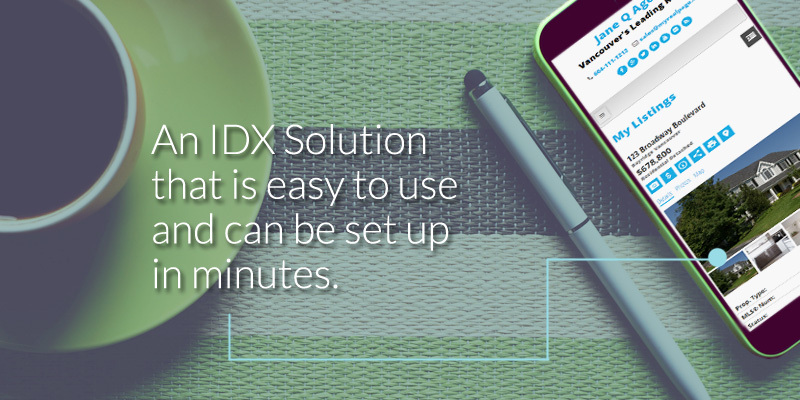 Our IDX for real estate websites includes automated listings that save you time and resources. You’ll never have to manually add or update your and/or your board’s listings again. 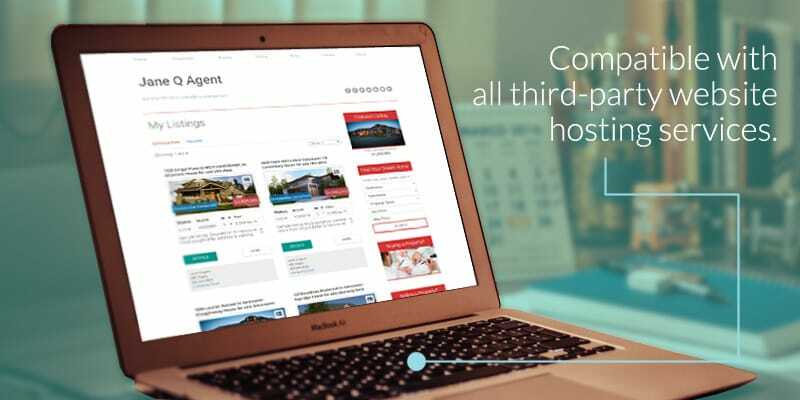 Create custom search forms in minutes, quickly capture leads, and easily share and embed your listings in other places online, too! Can be added to any website. Doesn’t matter what website company you use. Automated listings means never having to manually add or update listings again! Have the option to choose to include your board’s listings, too. Create any number of custom and/or predefined searches within minutes. 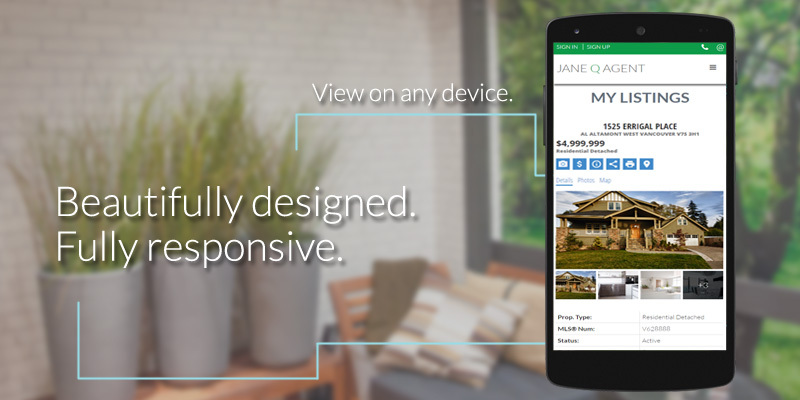 Choose to showcase a single listing, complete with photos, details, maps, etc. Built-in social media buttons and lead generation tools for easy online marketing. Easy customization options, so you can match it to your site’s theme.